Thanks for using the North Pole Confessional! Thanks for using the North Pole Confessional. We’ll make sure this gets to Santa. Until then, we humbly suggest you kiss your mother, salute the flag and hug a puppy before going to bed tonight. Santa believes that ALL kids are good. 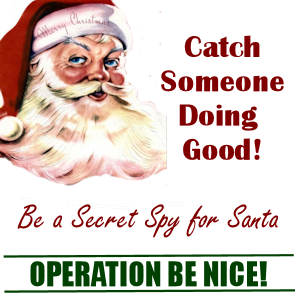 If you are kind to others, respectful to your parents, do your best in school and play fair then the chances that Santa will skip you because of a few minor indiscretions are pretty slim.